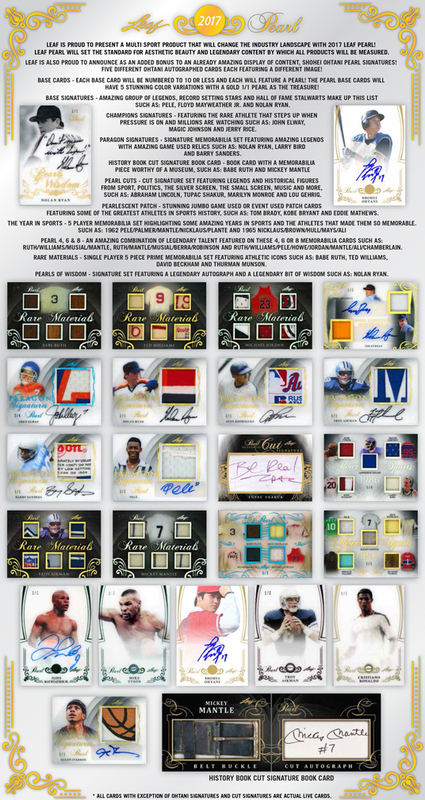 2017 Leaf Pearl arrives Wednesday, April 11th at Sports Cards Plus and we can't wait to see these amazing cards in our hands. We will start a 11-Spot Box Group Break on Wednesday at 6:15 with each $179 Spot receiving one random card from a factory sealed box. ONLY 300 BOXES produced of this extremely limited premium product. 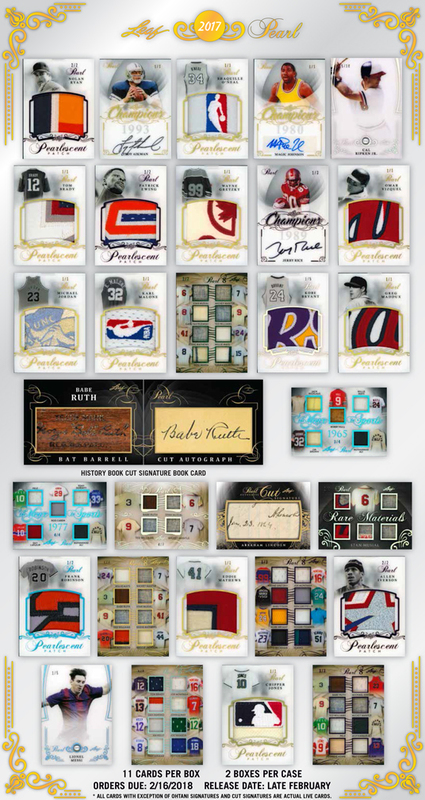 The cards are impressive, including game-used jerseys or Patches that are sure to amaze even the most seasoned collector. Every box of Leaf Pearl delivers a Shohei Ohtani Autograph or a Cut Autograph of the most famous and collectible people in history. Listed below are ALL the possible autograph cuts. The numbers to the far right are the quantities of each cut.